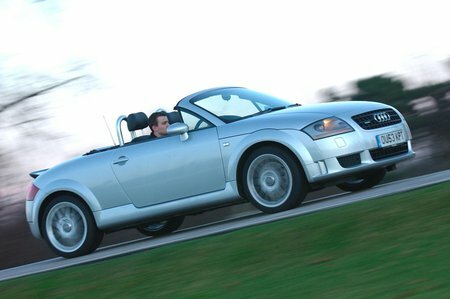 Used Audi TT Review - 1999-2006 Servicing, MPG, Insurance | What Car? As the Audi TT's chassis is derived from a previous generation of Volkswagen Golf, many of the major components are common to a vast number of VW and Audi models. That makes them cost-effective, but Audi dealers' labour rates will bump up the price, even if they are cheaper than BMW or Mercedes dealers. A cam belt change is needed every 60,000 miles to keep the 1.8 turbo engine in good health, but this is not an expensive operation, and the excellent network of independent Audi specialists can help to further reduce the cost of running a TT. Fuel economy for all but the 3.2 V6 is good for a sporting open-top, while tyre wear is also better than for many of the TT's rivals'. Franchised Audi dealers still love the TT for the ease with which they can sell used examples, but don't rule out an independent specialist for finding quality used examples.